Back when I was younger whenever I pass by in the town of Juban, I often see these heritage houses either I am riding a bus or jeepney but I never cared at all. This was when the words “travel” and “heritage”don’t exist in my dictionary just yet. Anyone coming from Bulan, Irosin and Matnog, would need to pass thru Juban's highway to get to Sorsogon, Legazpi and Manila. Now after backpacking around the Philippines and seeing a lot of heritage houses, it is about time to see the ones right in my province. 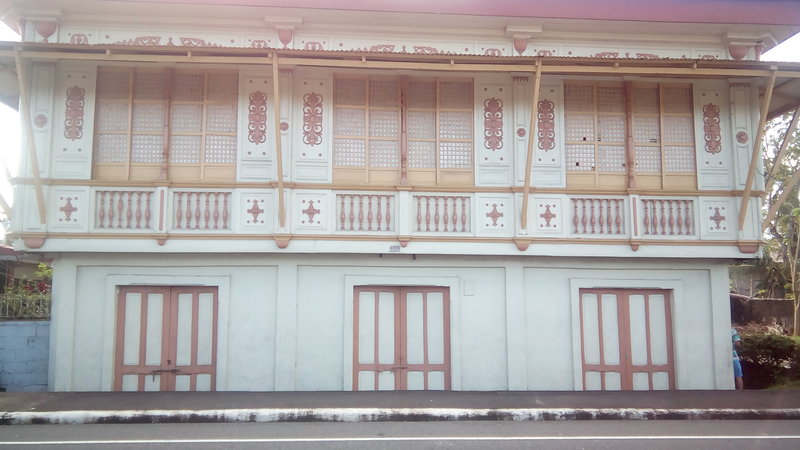 I have seen so many historical houses around the Philippines: Intramuros, LagunaIlocos, Bacolod, Iloilo, Bataan, Bulacan, Dipolog, Cebu, Bohol, Tuguegarao et cetera. My list goes on, I won't stop until I see it all. Since I am staying for another week in my home province, Sorsogon before I go back to Manila by Jan 10th - I vowed that I will start exploring all the worthy tourist destinations in hope of promoting the local tourism in my own way. Yesterday, I accompanied my sister to Sorsogon city in the morning who’s currently on training in Sta Clara Park Hotel. I checked this hotel, loved it and personally recommending the place to anyone looking where to stay in Sorsogon City. I’m blogging a separate post about it soon t takes about an hour to get here so when she started, I did a DIY walking tour of Sorsogon city where I spent two years of my college life. I will be posting a separate article about that but for now I’m featuring Casa Feliz. On the way back to Irosin, I briefly stopped in Casa Feliz to check it out. There’s no problem finding this ancestral house in Juban since it is along the highway where I will take another jeep back to Irosin. It was already 3pm, the house is closed and just a few locals pass by. It is certainly not the best time to take a photo but I don’t know when will I ever have time to visit Casa Feliz in Juban again so I tried the best I can. I really want to get in, maybe for half an hour to see the place but no person in sight and that the house super silent. The more I stare at the wide windows in the second floor from where I stand , the more I feel this bizarre feeling of someone is looking at me too. What I did is that I crossed the street to ask this girl inside an old Spanish-styled building about who takes care of Casa Feliz and also to ask her about this heritage house she stays. Unlike Casa Feliz, this one looks old and not maintained. I do hope though that one day, this will be given proper attention to be restored. 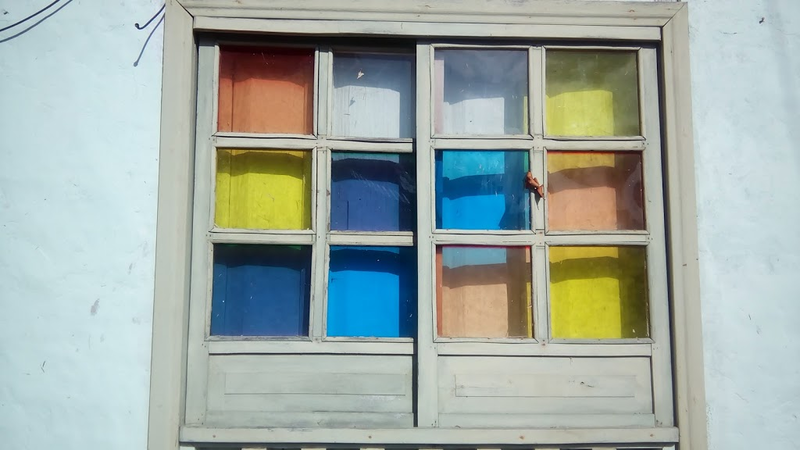 She said she is just a renter of one of the compartments inside and she doesn’t even know what is the name of this building nor the owners. She just said they reside in Manila. She then pointed me to go to Café Geronimo Bar and Restaurant, only 3 minutes away saying that they manage Casa Feliz. I talked to two of the staff there, a boy and a girl plus an old woman who is the sister of the owner Of Casa Feliz. They said the fee to get inside Casa Feliz is Php1k which made me surprised. I am aware that Casa Feliz is also a lodging house and inn so I said I am not spending a night there. I only want to take photos inside but they all insist I must have a thousand pesos, that’s it! I said I have been to so many historical casas around the Philippines, I have never paid as much as Php100 for an entrance. I stopped arguing since I don’t see I have a chance of winning. I spent about half an hour inside then went out to take a glimpse of Casa Feliz again before I find a jeep bound for Irosin. On the way back two minutes to Casa Feliz which is just a street - cross away, I found another old house equally beautiful. There was a guy in the corner reading a book, I asked him what is the name of this and that, he said he doesn’t know. He said this is a residential house and that he lives nearby. I managed to take a few photos, afterwards just behind it is another old house that looked so stylish. I have gone tired of asking actually only to get the same answer. I was also explaining to the staff that I am a travel blogger, one who features destinations and places. They don’t know what a blogger is which I expect since they live in a province but what I find so strange is that they asked me like “Show us a proof that you are a blogger, where is your camera and documents? etc”. When I went home, I googled my way to learn about it out of frustration as I am so curious about the history behind the Casa Feliz of Juban, Sorsogon. Here’s what I found out. Casa Feliz is used to be owned by Don Lioncio Grajo in 1905. This was given as a gift by built by his brother afer he passed the bar exam. It became his residence and a district office when he became the representative to the first Legislative Philippines Assembly. 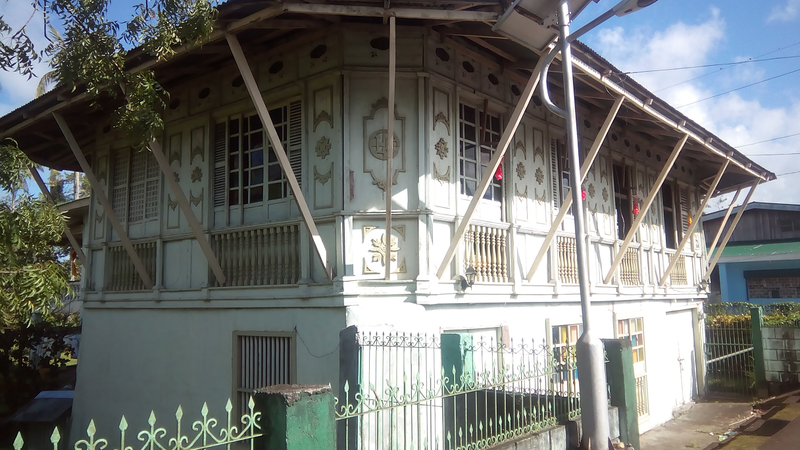 After his death, he passed this house to his son Lioncio Grajo Jr. but he since he is moving to Manila so he sold the house to his, Lourdes Grajo Hubilla. Clicking the next pages on Google led me to a Philippine Daily Inquirer post sharing the story of Lourdes Grajo Hubilla and mentioning Casa Feliz. Here I got so inspired about how this family lead their life of many opportunities that a normal Filipino family cant during their days which is mixed with travel. I can therefore conclude that the owners of Casa Feliz in Juban are from wealthy clans in the whole province of Sorsogon. Dated March of 2010 and written by her daughter, Lourdes Grajo Hubilla is already 99 years old that time. She will be turning a hundred year old in seven months forward. Lourdes is an intelligent and very religious daughter of Don Leoncio Grajo, a lawyer and member of the Fifth Philippine Assemby. He owns the only Ford automobile in the whole town that time. She married Gene Hubilla from Casiguran, a town located before Juban where I pass by whenever I come from Irosin. She was a teacher, worked in Malacanang library and at Ponce Enrile’s Law Office in Escolta. Her whole family lived in Manila and was able to travel to Europe on pilgrimage visiting Fatima, Lourdes and Rome. On the 35th wedding anniversary they celebrated it in Paris then went on to see Amsterdam, Brussels, England and USA. 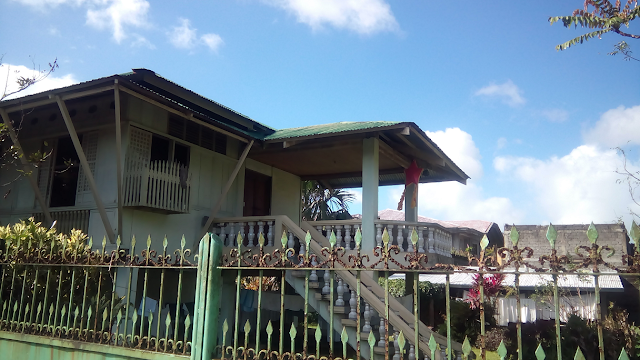 When she got older she decided to go back to Juban, Sorsogon in Casa Feliz where she was born. I have not seen any recent articles if she made it to a hundred years old or whether she is still alive today. She would be turning 106 this year if the answer is yes. 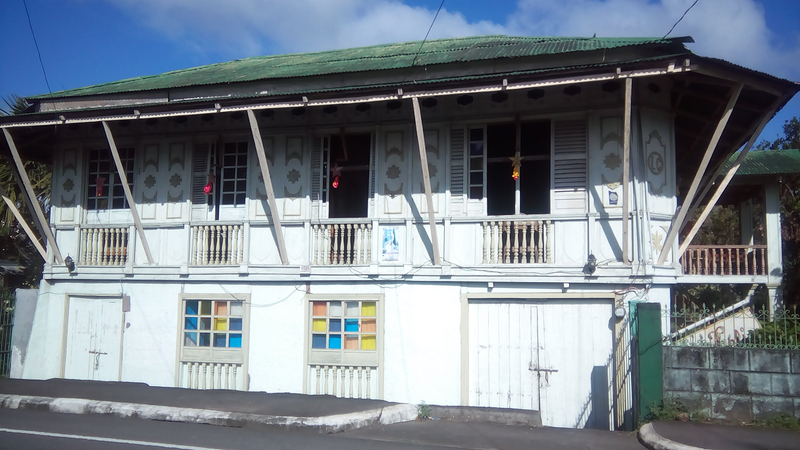 The current owner of Casa Feliz is Jesus Lasala, a neighbour that really spent so much efforts to restore this used to be almost dilapidated ancestral house of the Grajos in Juban along with the help of National Historic Commission. It was named after the name of Dr Teresita’s mother, Felicidad. Casa Feliz Lodging House has eight rooms and provides free breakfast to guests. It is open to different events, gatherings, parties, weddings, seminars etc. 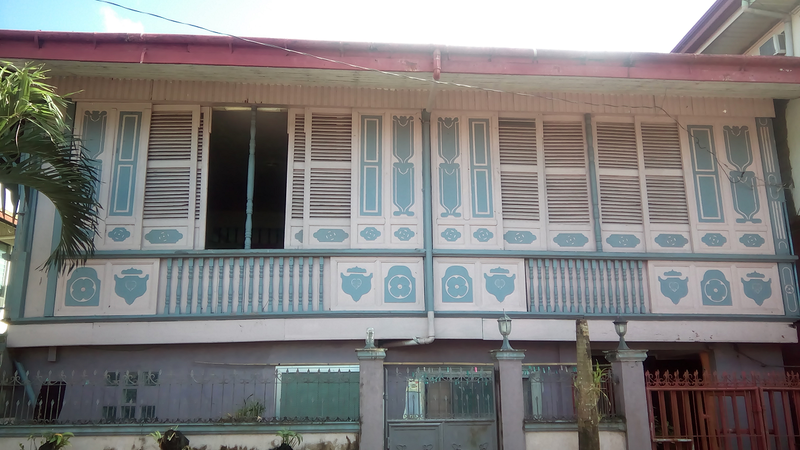 I do hope to learn about these three unidentified old casas so I can feature these here too. Let me know if you can help me. 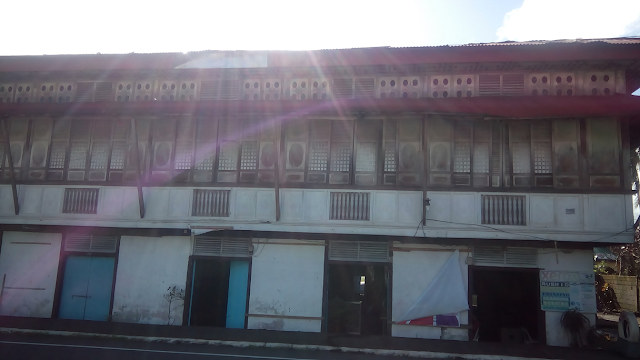 Casa Feliz is located at Pan-Philippine Highway cor. L. Grajo St., AH26, Juban, 4703 Sorsogon, Philippines. The Facebook Fan page is not updated yet, you may click here.